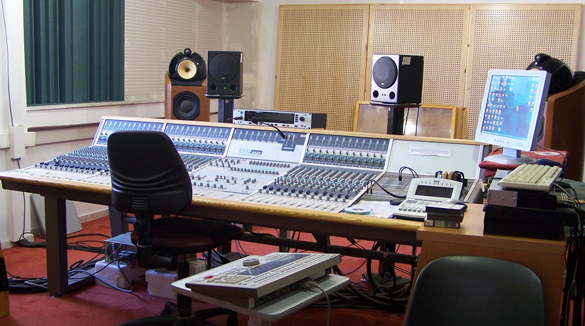 The Master’s Degree in Sound and Music Technologies will start in October 2018. Applications for admission will be received between 20 August 2018 and 20 September 2018. For more details, see the Expression of Interest Call. 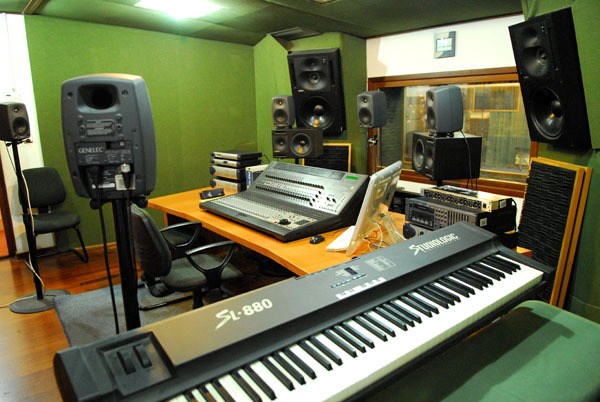 The Master’s program in “Sound and Music Technologies” focuses on both the latest scientific trends as well as applied knowledge in studying sound as a carrier of information, culture and entertainment. 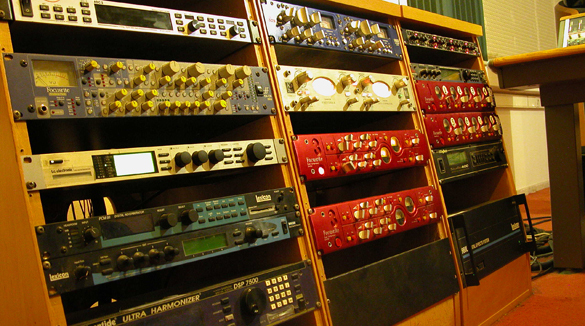 More specifically, the curriculum is structured in such a way as to approach sound as waves, signal and information. The study of sound as waves refers to the understanding of the physical nature of sound, its production, detection, propagation and damping through various materials, as well as the classification of descriptors, in terms of both physical and perceptual (psycho-physical) aspects. This knowledge is not only fundamental for the study of sound, but also directly applicable to the field of construction, e.g. 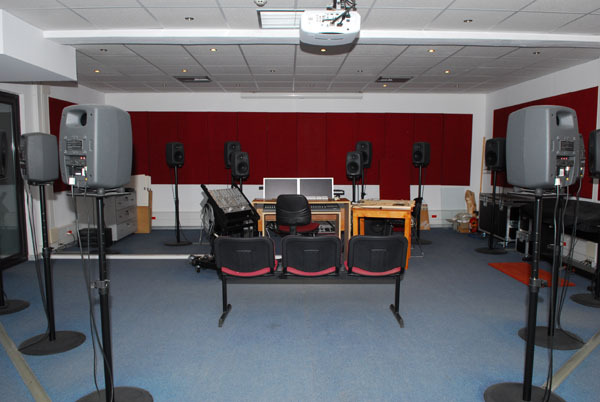 room acoustics and vibrations, the development and evaluation of musical instruments, the study of music and sound perception, as well as studies in noise levels of urban and industrial areas. The study of sound as signal concerns the digital representation of sound waves and how these are coded, analyzed, processed and synthesized. 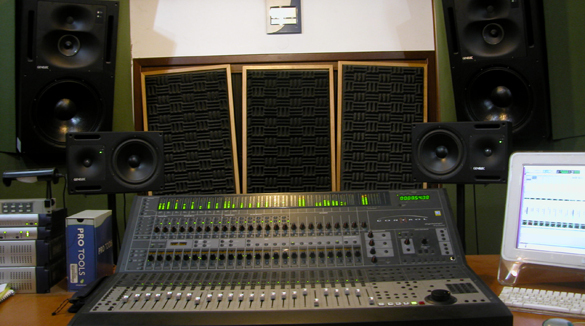 This knowledge is used in applications related to high-fidelity audio coding and transmission, music production, sound design in visuals (e.g. movies and games), development of interactive systems etc. Finally, the study of sound as information refers to the analysis of audio signals with the aim of extracting semantically useful information. Modern trends in this direction concern the automated analysis of “big sound data” and its application in e.g. 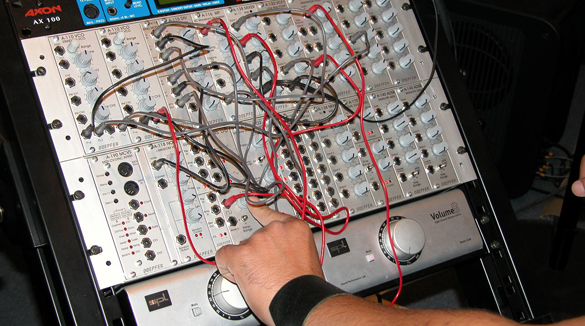 the automatic classification of both musical and environmental sounds, the automated identification of sound events, the effective search/retrieval of music works based on specific characteristics (such as tonal systems, rhythmic patterns, timbre), the identification of traditional music, and in general applications resulting from the ever increasing use of artificial intelligence in audio information. 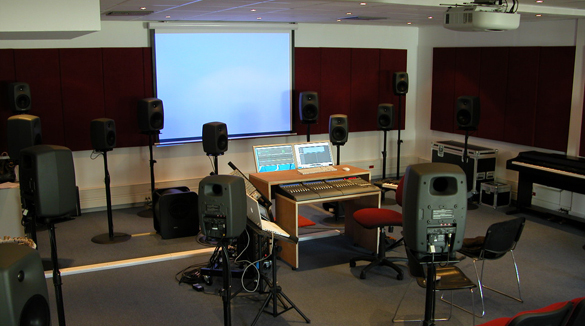 The Master’s program “Sound and Music Technologies” aims to provide specialized knowledge for: (a) the development of technical studies related to improvements of acoustic spaces, (b) the development of intelligent human-computer interactive systems in sound and music-related applications, (c) the development of applications for the automated information extraction from audio data, (d) the design and implementation of innovative synthesis techniques and (e) the specialization in modern techniques and a vast number of applications concerning opto-acoustics. Furthermore, the postgraduate program aims at (a) integrating existing knowledge and research outcomes by all existing collaborating members of the Department, (b) supporting research in areas that staff members specialize, and (c) reinforcing the laboratory and research infrastructures of the Department for their use in both the postgraduate as well as the undergraduate curriculum. During their studies, the students will develop their personal skills in critical thinking, oral presentation and scientific writing of journal articles and technical reports. It is expected that these skills along with the expertise in modern audio and music applications will make our graduates highly attractive and competitive in science and research. In this way, our postgraduate program will contribute to development and will fit to the modern requirements of current research, technology, education and the market both in Greece and abroad. At the same time the improvement and further development of our graduates’ research skills will constitute a solid basis for them to pursue further studies at doctoral level. The program has a duration of three (3) full-time or six (6) part-time academic semesters. During the first two semesters, full-time students will attend eight (8) compulsory courses and in the final semester they will be conducting their final project and writing their thesis. Part-time students must attend eight (8) courses within four semesters, while the diploma theses may take up to one year. The final project can be conducted in one of the partner laboratories in Greece or abroad. Attendance of all courses is compulsory. The courses include theoretical teaching and, where appropriate, bibliographic research, practical exercises and laboratory work. Each course corresponds to a minimum of 3 teaching hours and 7.5 credit units in accordance with the European Credit Transfer and Accumulation System (ECTS) and Article 14 of Law 3374/2005, while totaling to thirty (30) credits per semester of study. The thesis also corresponds to thirty (30) ECTS credits. The courses as well as the thesis will be graded in the scale 0-10 with a gradation of 0.5. For the successful completion of a course a rating of at least five (5) is required. Audio Signal Processing: The course focuses on the basic principles of digital signal processing such as pulse code modulation and sampling rate conversion, spectral analysis, digital filters, noise minimization, basic approaches to audio coding/decoding etc. 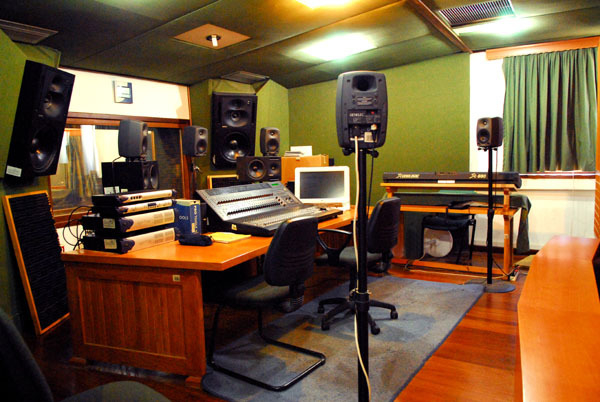 Audio Application Programming: The purpose of the course is the development of programming skills for the design of audio and music applications. 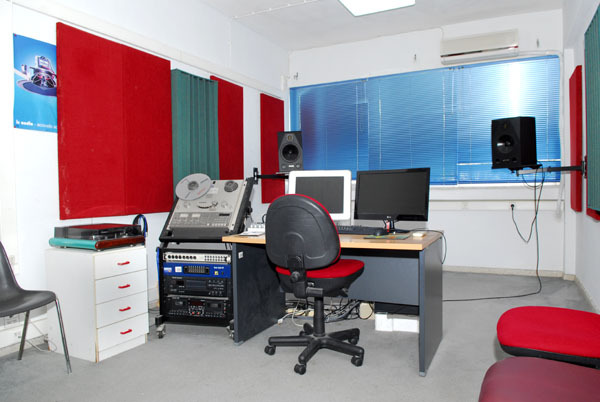 Students get familiar with the development of applications related to audio capturing and recording, spectral analysis, audio signal extraction, etc. These are implemented using general programming languages such as Python or C and specialized programming libraries (APIs). 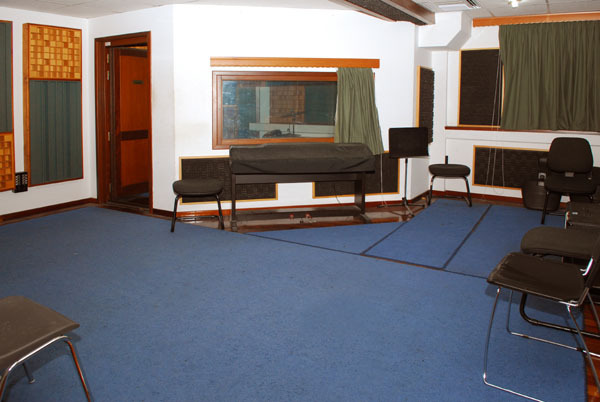 General Acoustics: The course covers in a brief but analytical way the principles of vibrating systems production, reflection, transmission of sound in various media, as well as the emission, scattering and measurement of sound. 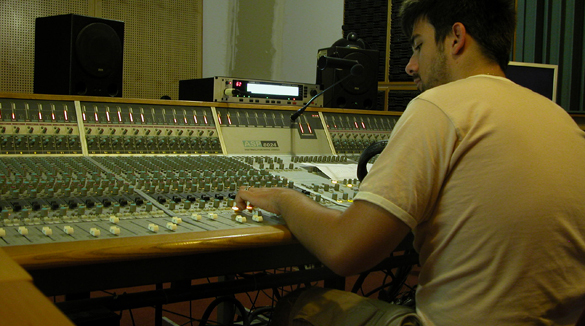 Sound Design: The course introduces students to advanced synthesis and modulation techniques, their implementation with the use of computers and their application to modern music creation. 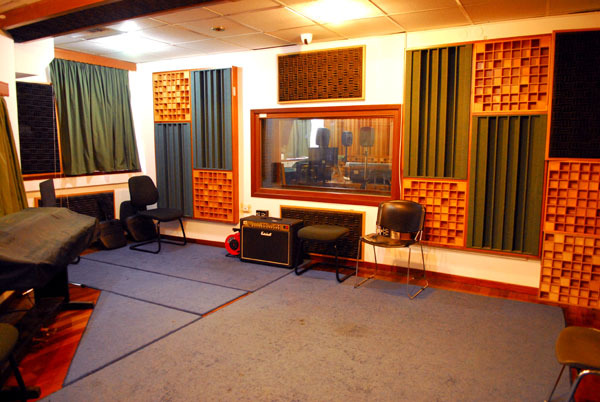 Special Topics in Acoustics: The course will focus on individual sections of acoustics such as musical acoustics, structural acoustics, psychoacoustics, transmission and reception of sound from arrays of sources and receivers respectively, electroacoustics and computational acoustics. Applied Machine Learning: The course aims to familiarize the students with cutting-edge technologies and programming tools for the development of applications that involve the automatic extraction of semantic information from a digital audio signal. Such information may be related to the automatic recognition of musical information (e.g. recognition of musical pieces, melody, musical instruments, rhythmic patterns), but also to the recognition of sound events and scenes in applications of intelligent environments. Music and movement: The course covers topics on the relation between music and human movement. In this course students have the opportunity to familiarize themselves with theories of embodied music cognition and perception as well as multimodality in audio interaction. 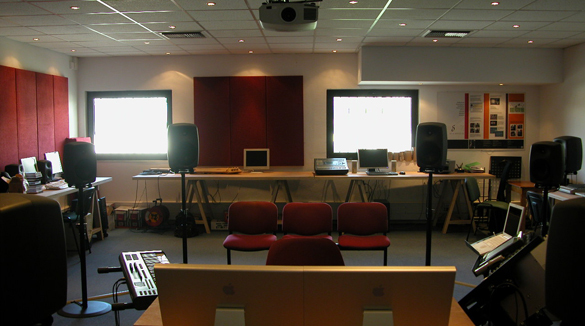 The aim is for students to develop skills in (a) analyzing audio and motion data to find correlations between them, (b) developing interactive sound systems in which motion controls and drives sound. 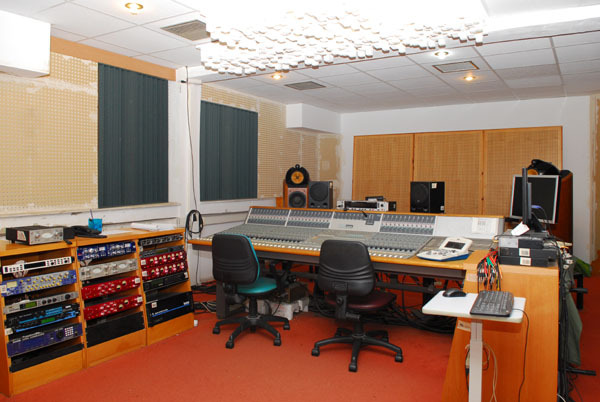 Optoacoustics: In this course students will come in contact with a contemporary subject of global interest and acquire both theoretical and practical knowledge on topics such as detection of sound with optical methods, development of sound sources by strong coherent light, applications of optical methods in musical acoustics, acoustics of the microcosm (micro- and nano-acoustics) etc.